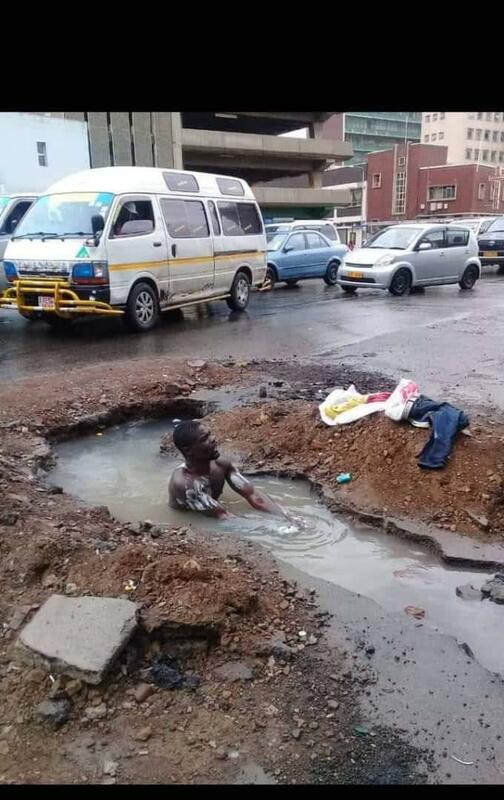 A man in Harare took a bath recently in a city centre ditch left open by the city authorities. The huge ditch, dug at the corner of Nelson Mandela and Julius Nyerere streets as part of maintenance was left open with no danger signs and has been like that for a while. It’s not clear what drove the man to take a bath in broad daylight as traffic and commuters passed by. Harare City Council is an example of catastrophy! It is even embarrasing for anyone to be associated with that council as a decision maker. How do they Justify all the salaries and perks they get. Schocking!